I guess my travel bug started in the mid 70’s when I left industry and became a business educator at Grossmont College in the San Diego area. Teachers have an advantage when it comes to travel. I had nearly three months off in the summer and a month at Christmas. In nearly 30 years as a teacher, I was on the road (or in the air) most of my free time. I even did courier flights where I was able to fly to Asia for a couple of hundred dollars. On two occasions, the College awarded me sabbatical leaves. In 1982, I spent the fall semester teaching at the University of Business and Economics in Beijing. The following spring I continued traveling around Asia and then on to Europe and was a visiting lecturer at the Finnish Businessman’s Commercial College in Helsinki. Several years later, during a second sabbatical leave, I studied management techniques in Japan, England and Scandinavia. Based on this international experience, the College asked me to write the curriculum for their new International Business Program. I went on to chair that program as well as the marketing and management programs. 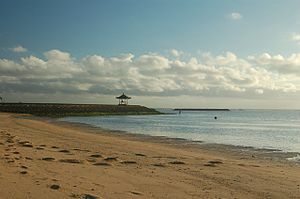 In 2003, after retiring at Grossmont College, I moved to Bali, Indonesia. My brother, Bob, was living with me for a while and was doing some painting. Bali is a feast for an artist. It’s sensory overload. Although we felt safe in a comfortable villa in Nusa Dua, a second terrorist bombing happened about 3 kilometers from us at Jimbaran Bay and killed 23 people. The first bombing in October of 2002 had 202 fatalities. Suddenly, nobody would come to visit us. “Come to Bali…no way!”. We then moved to Penang, Malaysia. Although we lived in a nice condo with a 180 degree view of the ocean, our stay there lasted less than a year. Bob married his Indonesian lady friend and they moved back to Bali and then on to the USA. Although Penang was beautiful, safe and a fascinating cultural melange, I have always had a low threshold for boredom. Being alone, going to the many food courts at night and spending my time chatting with nice Chinese families got old quickly. A friend’s condo became available in Bangkok when he moved back to the States and I spent the next three years living there. Bangkok was certainly not boring and it was the perfect base for traveling throughout the region. Five years ago when the traffic and pollution of Krung Thep started getting to me, I moved two hours away to the East Coast of Thailand. I rented a comfortable condo near the ocean. I had a strong internet connection and many English language channels on cable TV. I was there about half the time and traveling the other half. Bali has become safe again. I still visit it often and keep thinking I may move back there. 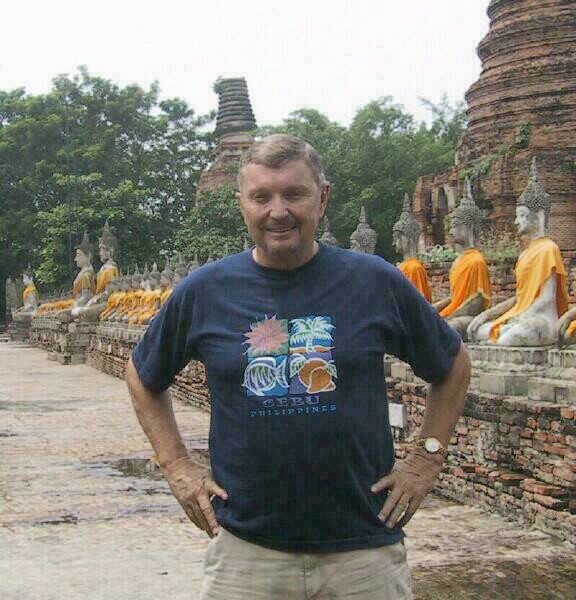 I have had a 30 year love affair with Thailand too. Every place has its pluses and minuses. So little time to enjoy them all. Traveler888 is a collection of the most memorable experiences both before and after my retirement. I hope you enjoy them. Your questions and comments are welcome.